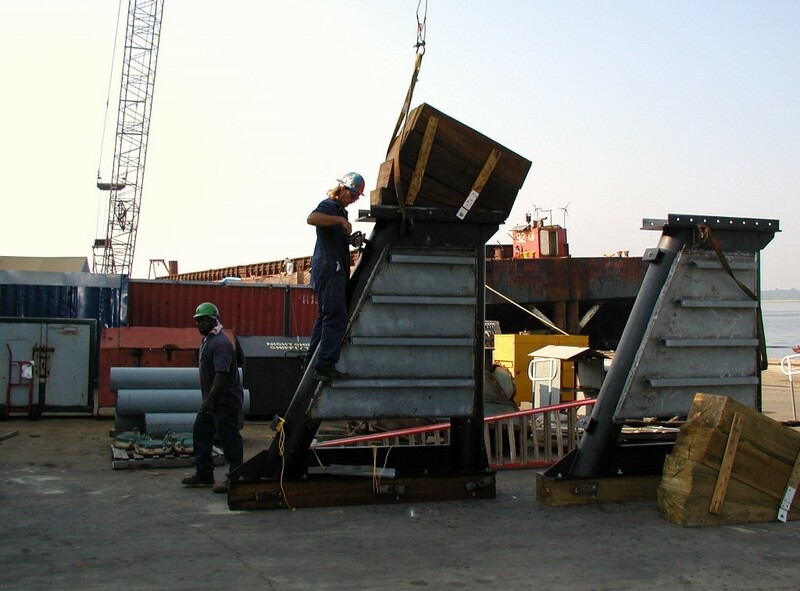 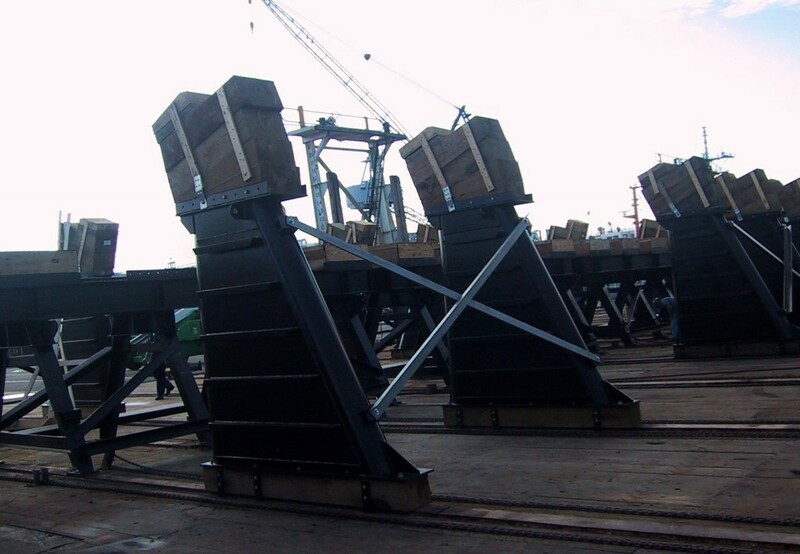 Projects - Custom Blocks for Docking FFG | Heger Drydock, Inc. 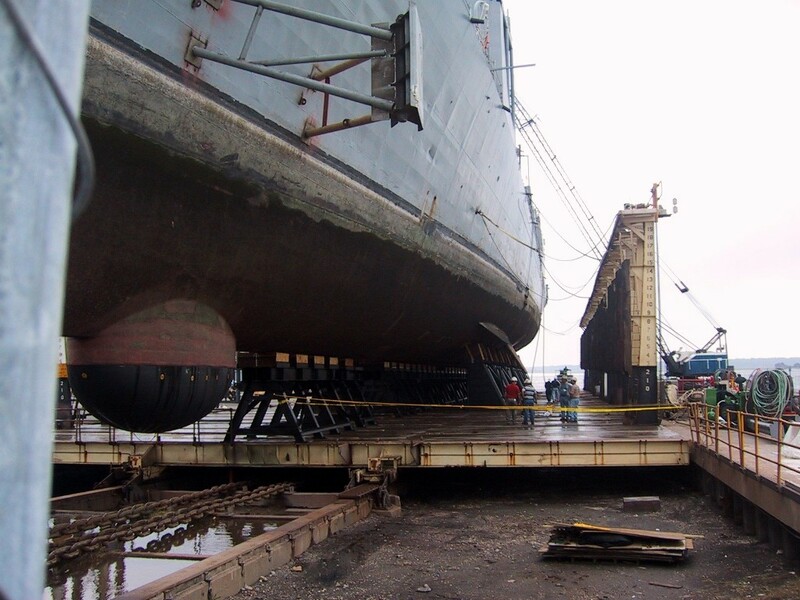 In 2002 Heger Dry Dock was asked by Atlantic Dry Dock to design custom side blocks and cradle beams for docking Navy Frigates. 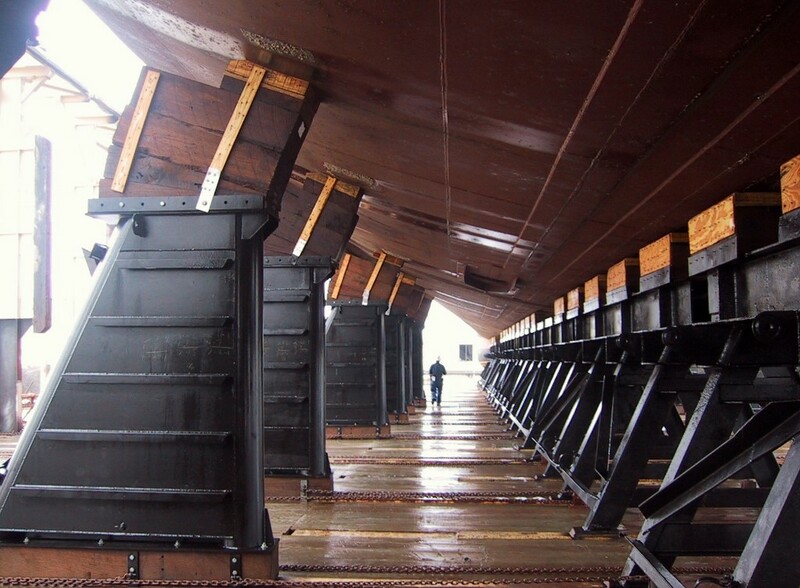 HEGER designed buoyant hauling blocks and a pivoting outrigger guide in order to safely dock the frigate without causing damage to the sonar dome.